Search and social have been competing as the top referral source online. The two are especially important for online publishers, whose content is discovered mainly through both channels. A recently released report from content analytics tool provider Parse.ly reveals that search reclaimed its spot as the top referral source for major publishers. Parse.ly’s first Authority Report for this year reveals that as of March 2014, search has reclaimed its spot as the top referrer of traffic for major news publications online. Search engines were the top traffic source for major online publications by the end of the first quarter of 2014 at 32.8%. Social wasn’t far behind, however – they came in second at 31.2%. Back in January, these numbers were reversed, with social taking the top spot. 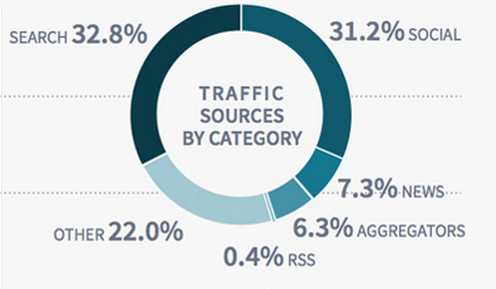 Google continues to lead the list of overall traffic referrers. Facebook is at second place, and it has managed to maintain its ranking as an overall traffic source from January to March of this year. It currently is the source of 26% of overall traffic. This shouldn’t be a surprise for content marketers and writers alike, but Parse.ly’s report also reveals how much more visitor loyalty major publications get versus smaller online publications. 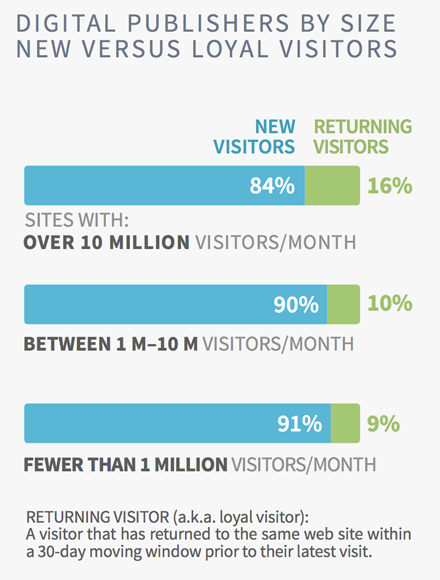 Sites with over 10 million visitors each month get 16% returning visitors within 30 days, while those with fewer than a million visitors only get 9 million loyal readers. Smaller, newer publications get more new leads though: 91% of their traffic within 30 days is new visitor traffic, whereas with bigger publications, only 84% of their traffic is new. Search continues to dominate the online marketing scene, but don’t take your social campaigns for granted – as you can see, although search has been dominant since October of last year, social isn’t too far behind, and at one point it even exceeded search as the top referrer. Keeping a balanced and integrated online marketing campaign will keep your clients visible in your target market. The good news for our partners is we’re already doing this for you, and we’ve got the packages, the technology, and the manpower to make your integrated online marketing campaigns successful across all platforms. Talk to your account manager to learn more, or sign up for free to become our partner and get started. Keep checking back for more updates! On June 8, 2012, Google made their hungry pet panda grow just a little bit more. Panda 3.7 was unleashed without much fanfare, but its effects have far reaching consequences.